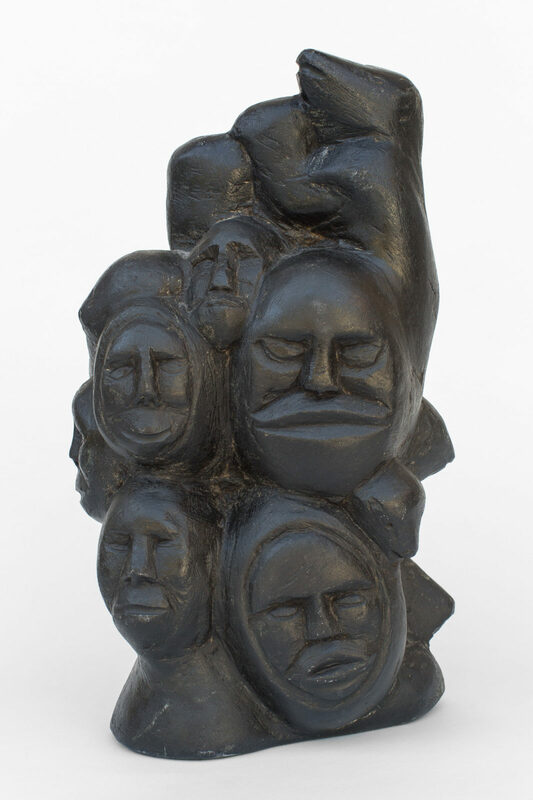 untitled (head cluster), 1974, stone, 13.5 x 10 x 5.5 in. 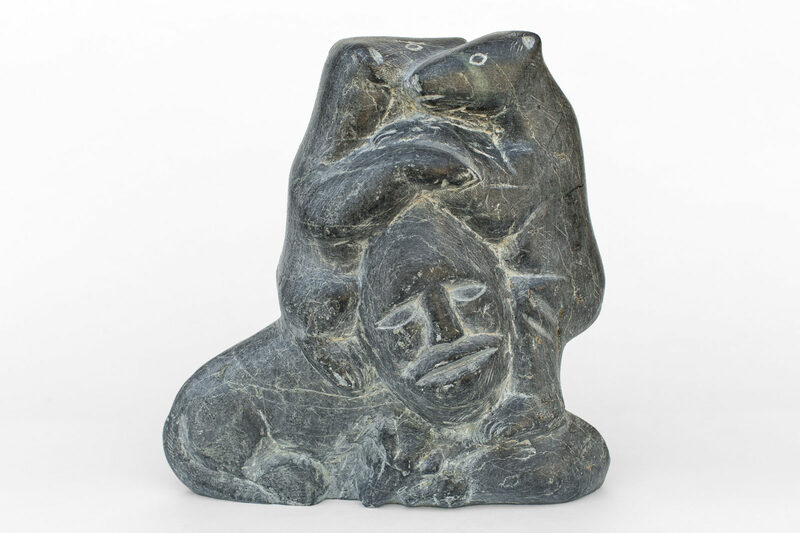 untitled (head with bears), 1976, stone, 11.5 x 11 x 3.75 in. 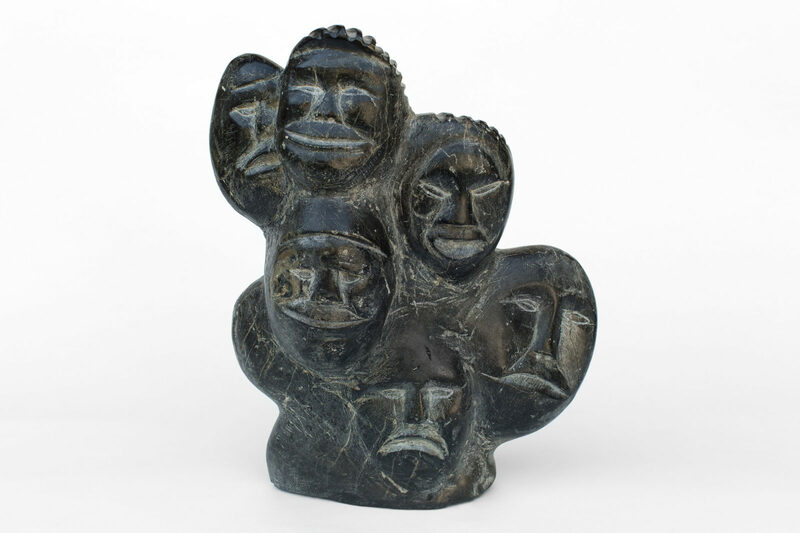 untitled (head cluster), c. 1970's, stone, color medium, 14.5 x 8.5 x 5.25 in. 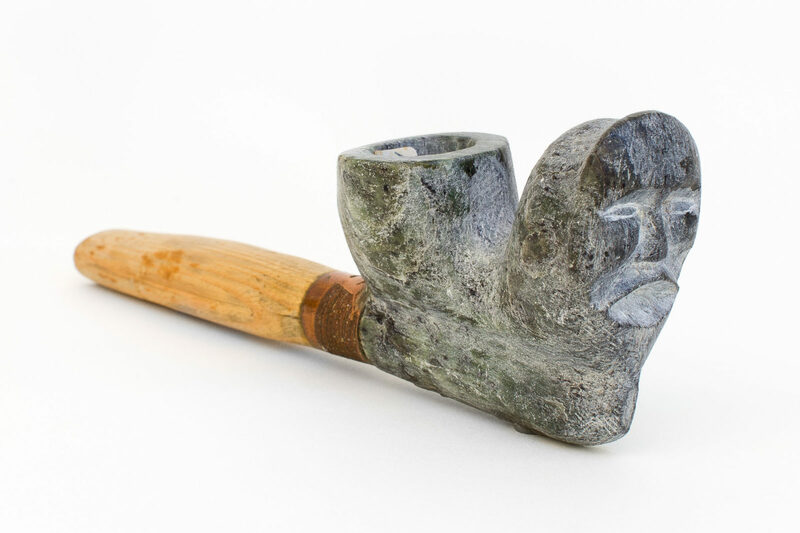 untitled (pipe), c. 1970's, stone, wood, metal, 6.5 x 2.25 x 1.25 in. 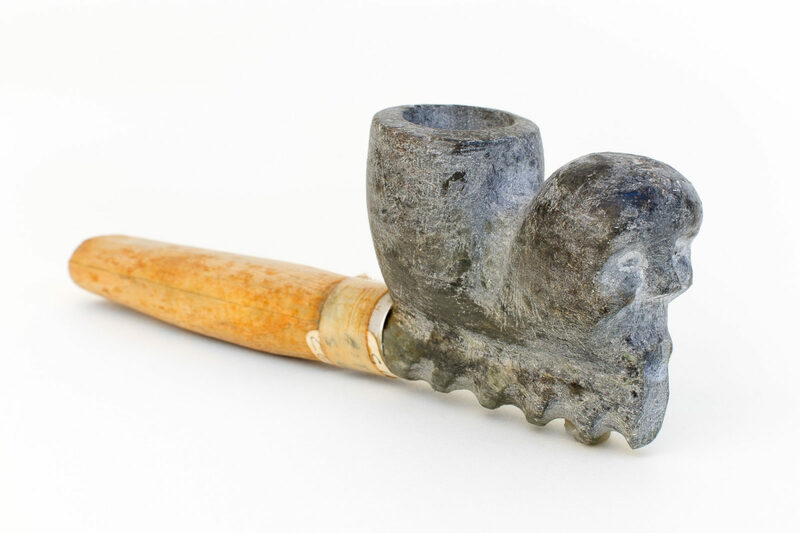 untitled (pipe), c. 1970's, stone, wood, metal, 5.75 x 1 x 1 in. 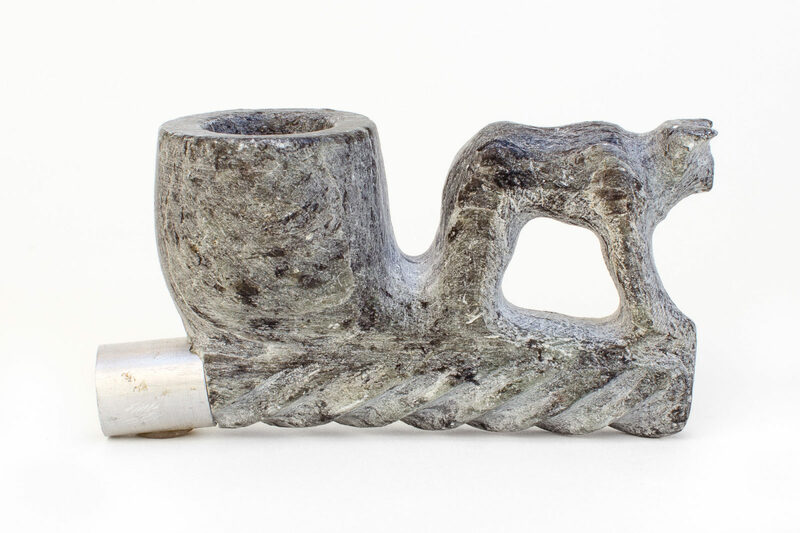 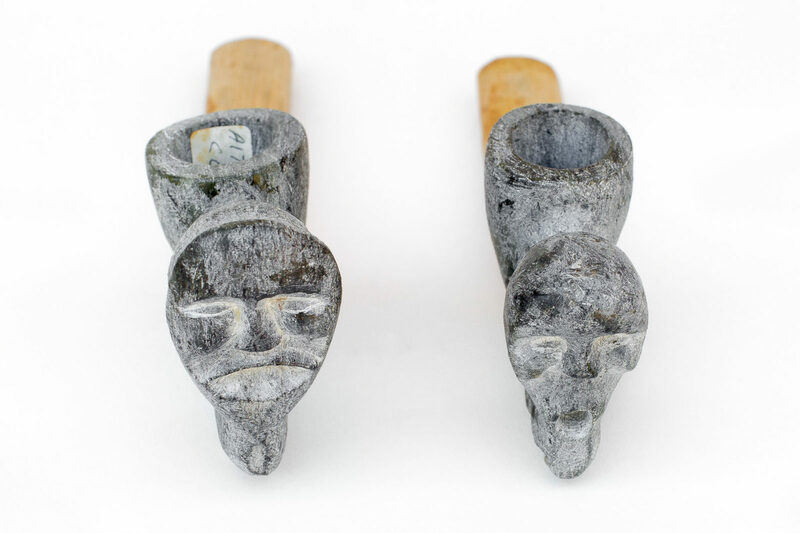 untitled (pipe), c. 1970's, stone, aluminum, 1.25 x 2.25 x 4 in.